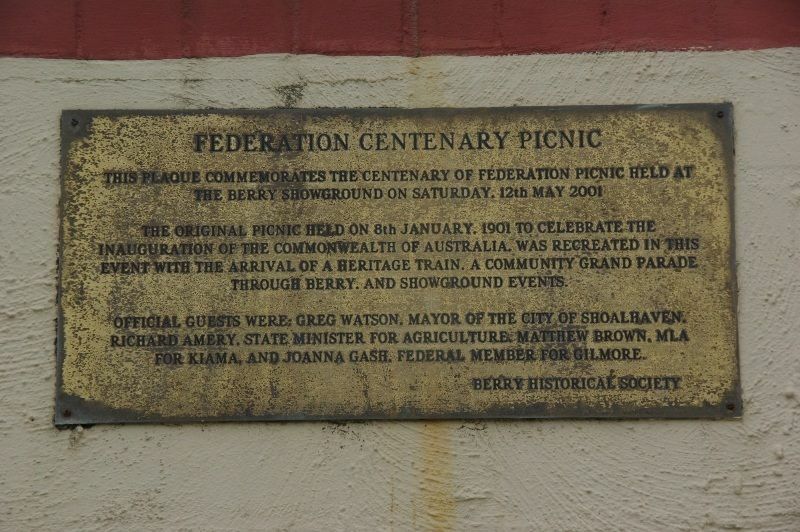 A plaque commemorates the centenary of the Federation picnic held in Berry on the 8th January 1901. The Federation of Australia was the process by which the six separate British self-governing colonies of Queensland, New South Wales, Victoria, Tasmania, South Australia and Western Australia formed one nation. They kept the systems of government (and the bicameral legislatures) that they had developed as separate colonies, but they also agreed to have a federal government that was responsible for matters concerning the whole nation. When the Constitution of Australia came into force, on 1 January 1901, the colonies collectively became states of the Commonwealth of Australia. Part of the Government programme in connection with the Federal festivities was a picnic to the Shoalhaven District on Tuesday. Two special trains brought about a thousand more or less distinguished visitors as far as Bomadery, the terminus of the South Coast line. Only a short stay was made there, however, the trains running back to Berry, where arrangements had been made for the use of the show grounds and pavilion for the entertainment of the visitors. Luncheon was served by Beaumann of Sydney, who had a staff of waiters to attend to the comforts of the guests. The accommodation of the large pavilion and an improved pavilion was more than taxed to meet the extraordinary demand made by the company. 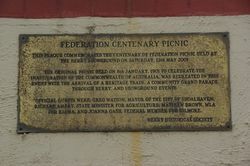 This plaque commemorates the Centenary of Federation Picnic held at Berry Showground on Saturday, 12th May 2001. 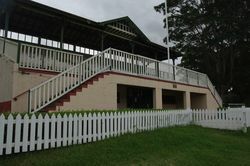 The original picnic held on the 8th January, 1901 to celebrate the inauguration of the Commonwealth of Australia was recreated in this event with the arrival of a heritage train, a community grand parade through Berry, and Showground events. Joanna Gash, Federal Member for Gilmore.